Fantasy literature consists of many great works, novels which may be justifiably called the gems of the genre and in literature in general. Most of these we know, for they include undisputed masterworks like The Lord of the Rings by J.R.R. Tolkien and J.K. Rowling's Harry Potter series lead and define Fantasy, followed by other great works like the His Dark Materials trilogy by Philip Pullman, Susan Cooper's The Dark is Rising Sequence, The Inheritance Cycle by Christopher Paolini, Garth Nix's Abhorsen Series, and the Ranger’s Apprentice Series by John Flanagan. Yet even in the most well lit gold mines, bright gems may be wrongfully overlooked and/or given less value/appreciation than they deserve. Below is a list of what I hold to be the hidden gems of the Fantastic or, to put it more bluntly, wrongly underrated Fantasy books. 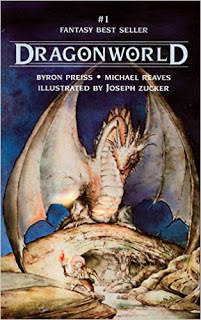 Dragonworld by Byron Preiss and Michael Reaves: It had been sitting on our shelves for years. Barely looked at save in idle curiosity, all but entirely forgotten. A hidden gem forgotten not just by us (my father and me), but by the world at large. We have NEVER read a more criminally UNDERRATED book. A book filled with the quiet grace and power of antiquity coupled with passionate emotions and devious court intrigue, Dragonworld easily ranks alongside the aforementioned great works. Do not let the unimaginative title fool you. It is a book that tells of how precious children are, how easily people are misled to war and the value of talking first. 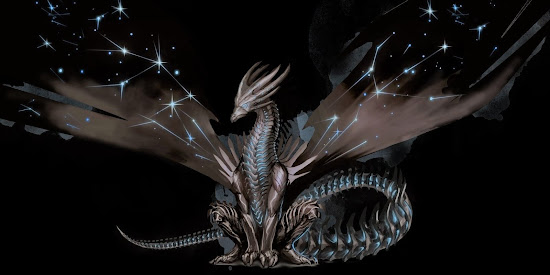 It tells of Dragons. "Somewhere beyond the northern mists lies a land where dreams live and dragons are real. 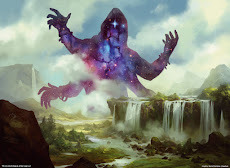 This is the tale of the twilight of the dragons, of two nations plunged into war by a tragic misunderstanding, of a shy dreamer's incredible voyage of peace to a long-forgotten land where nightmares are born. A magnificent creation, a sweeping epic of high fantasy set in a richly imagined world, vividly brought to life with over eighty pages of stunning illustrations by Joseph Zucker." The Many Worlds of Diana Wynne Jones: Mistress of the Multiverse and Lady of Endless Surprises – whom I put second only to J.R.R. Tolkien himself. I know this sounds absurd, but the wit, skill, and pure genius of Diana Wynne Jones can even go beyond Tolkien and J.K. Rowling at times. 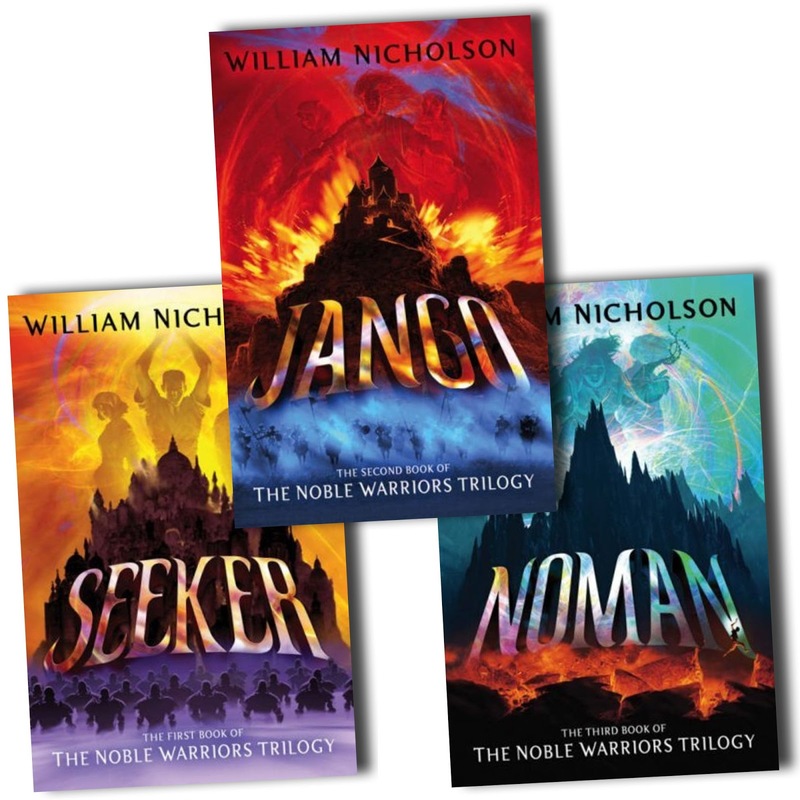 She has written countless books, mostly one-volume works which I believes accounts for her lack of fame in this Golden Age of Fantasy Series, and each one is literally and totally different from anything else you will ever read – including other Jones books! The ability to surprise is her signature and she will tear down literary arrogance like hurricane winds will leaves. She knows every Fantasy stereotype, trope, and trick in the book – indeed, she lists them into an actual book called The Tough Guide to Fantasyland – and purposely subverts and/or circumvents them; I once judged myself wise enough in the ways of Fantasy to be able to see through basically any trick. Well, Jones first shredded the banner of my pride, then reduced it to mere threads, then a thread, then just a banner-less pole, and now (after reading her Dalemark Quartet) nothing! The pole is gone, leaving just an empty field where my pride once stood! Then I read her Howl Series and now the plain is gone! Just a smoking crater remains! The ability to surprise is her signature and she will tear down literary arrogance like hurricane winds will leaves! "We've been Jonesed!" was our agonized yet delighted yell whenever she got us (as she did at least twice each book). Indeed, Dad and I never realized our dream of anticipating a Jones surprise before it happened – my signature line being "Well, since we've thought of it then it can't be right." Yet she is also an excellent teacher. Believe me, read all her books and by the end you will be able to pick up on other Fantasy author's tricks and subterfuges via instinct alone. Take Patricia A. McKillip, for instance. She plays many plot-tricks and had my father and I read her before Jones she would have gotten us every time. 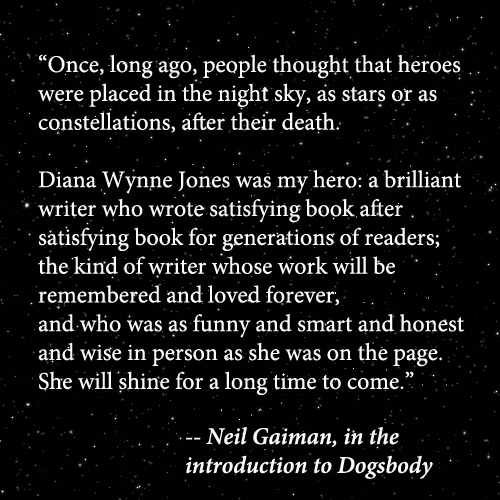 As it stood though, with our Jones-training we anticipated her several times; her along with Jones' dear friend and quasi-protégé Neil Gaiman. Ever read the Harry Potter series by J.K. Rowling? Well, Diana Wynne Jones came first and much of Rowling's writing style and plot-tricks bears an uncanny similarity to Jones' work. Frankly, I have always deemed it criminal that Rowling not acknowledge Jones' influence on her. 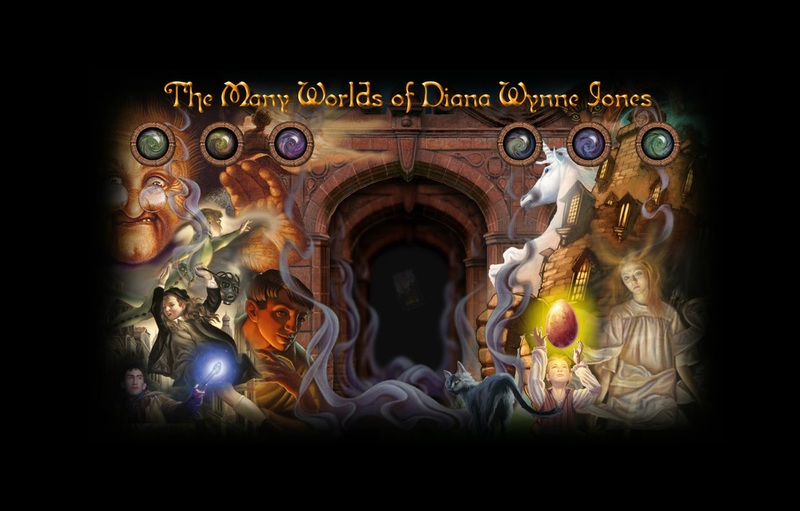 Believe me, journey through the Many Worlds of Diana Wynne Jones and you will see and meet things you never even dreamed of. I still cannot fathom how any one mind can not only think outside the box but, by all appearances, exist beyond it as well. And she makes it all look so EASY! Do not be fooled, for the language of children' books hides a cunning and complexity beyond the dreams of most. Well, this has certainly morphed into a long rant...I guess I had better get back on task. Again, I recommend Jones in general and as a matter of course, but her very best (more or less) are: Hexwood, Deep Secret, the Dalemark Quartet, Archer’s Goon, The Time of the Ghost, Fire and Hemlock, A Tale of Time City, The Homeward Bounders and her most famous work that is the Howl Series (book #1 of which is Howl's Moving Castle). See my Bookshelf for the rest, or check here. 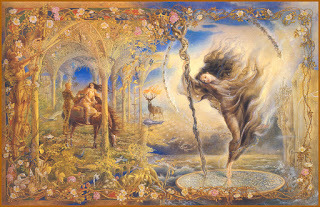 Alphabet of Thorn, The Changeling Sea, and the Riddle-Master Trilogy by Patricia A. McKillip: Before my father and I read The Neverending Story (see below) we never thought we would find another author worthy of standing beside J.R.R. Tolkien, Diana Wynne Jones, and J.K. Rowling. But we did. Her name is Patricia A. McKillip. These three books invoke, in old sense of the word, awe. McKillip has a way with words similar to Tolkien – who was a linguist himself – but different in that she glories in their sounds as well as meanings; to the extent that I call her a word-jewler as opposed to wordsmith. While reading her books one feels the instinctual need to read more slowly, for it as if a distant voice is calling across time from beyond a fog-shrouded ocean speaking of realms between sea and sky where legends shape themselves of fish and thorns and lettering. 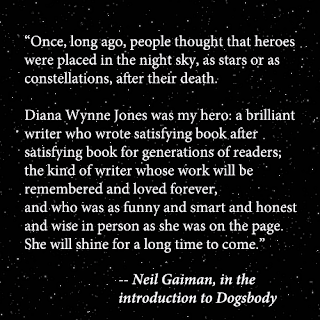 Finally, and like Diana Wynne Jones, she has written many and more books, all of them top-tier. The two mentioned are simply the ones which really stood out to my father and I. The Noble Warriors by William Nicholson: Being one of my first Fantasy books, I have judged this a drastically underrated series for the longest time. Me and the rest of my family, that is, it being one of that small and select group of Fantasies that we have all read. Fighter monks that wear no armor use no weapons, yet few can stand against them. This masterful work deals with the battle between faith and knowledge and, of course, friendship, in the defense of the All and Only God against the ruthless warmongers and the Assassin. None can read it without being changed for the better in a very deep and personal way. So come to the island of Anacrea, enter the Nom, and hear tell of the Nomana – whose strength is that of a wounded warrior. Meet Seeker after Truth, Morning Star, Wildman, and Echo, some of my oldest and dearest friends. 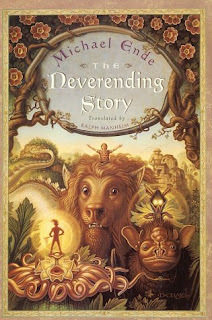 The Neverending Story by Michael Ende: It is less than 400 pages, yet is longer than Harry Potter. It is less than 400 pages, yet the entire Fantasy genre is captured within it. 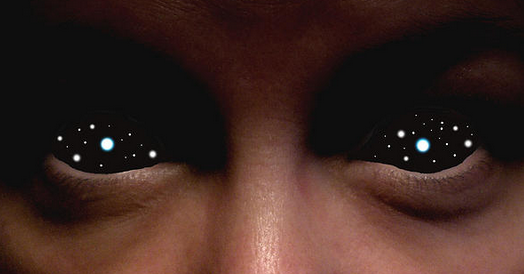 How to describe a book that is unlike any other, that robs one of words almost nightly? All I can say is that if The Neverending Story is the only Fantasy book one ever reads, then one can call oneself a veteran of the genre. All I can say is that Michael Ende unquestably ranks with J.R.R. Tolkien himself (and is the highest praise I can give). All I can say is that you never forget supping with the Golden-Eyed Commander of Wishes within the Ivory Tower and drinking the Water of Life between the black and white snakes who encircle and yet are within the Glory.